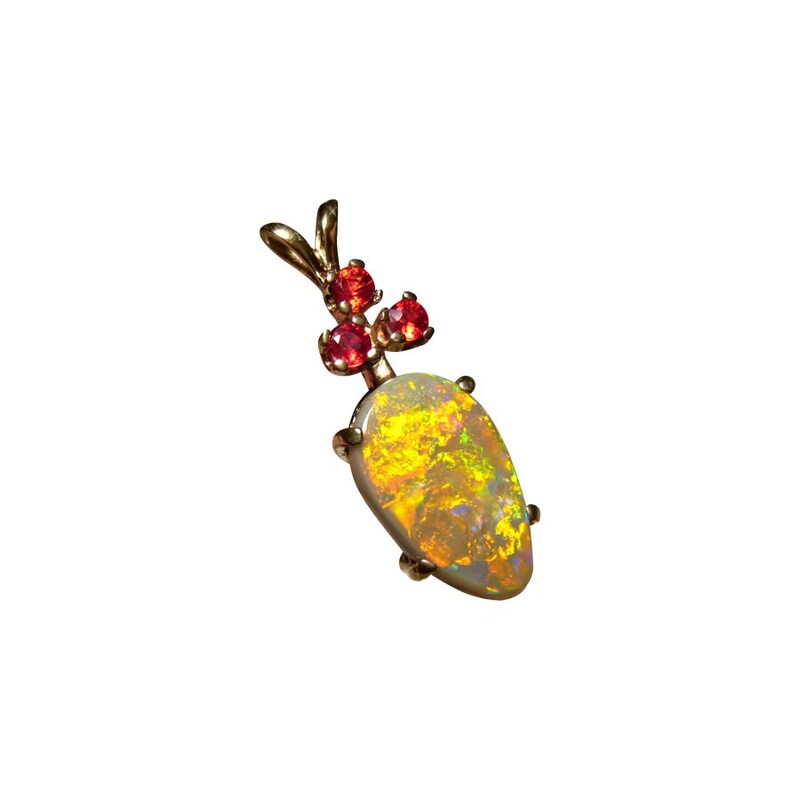 A Black Opal pendant in 14k Yellow Gold accented with round Red Rubies. In stock and ready to ship. 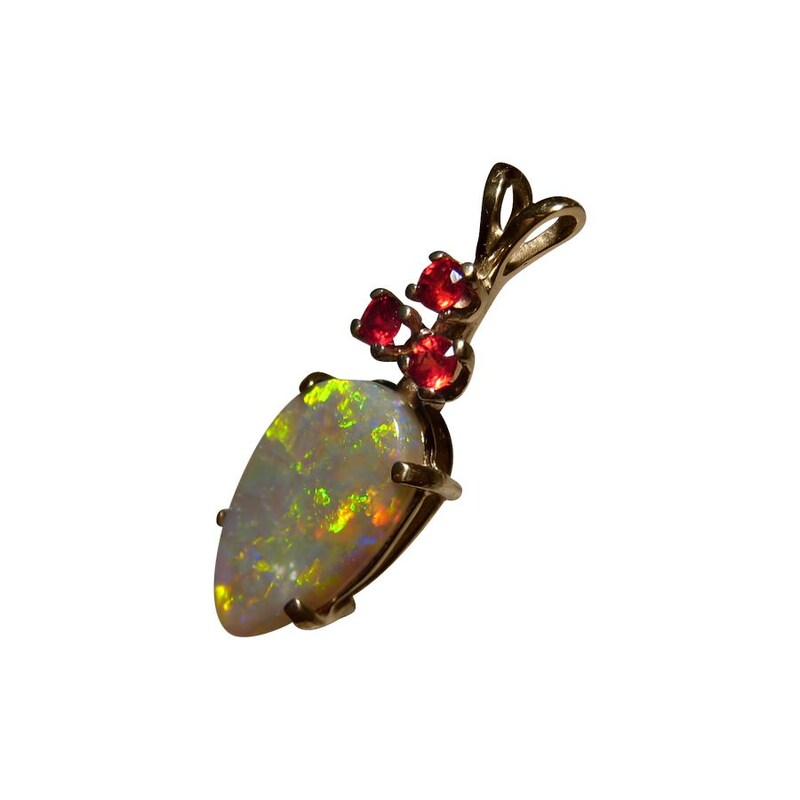 A Black Opal pendant that shows a fiery mix of colors. 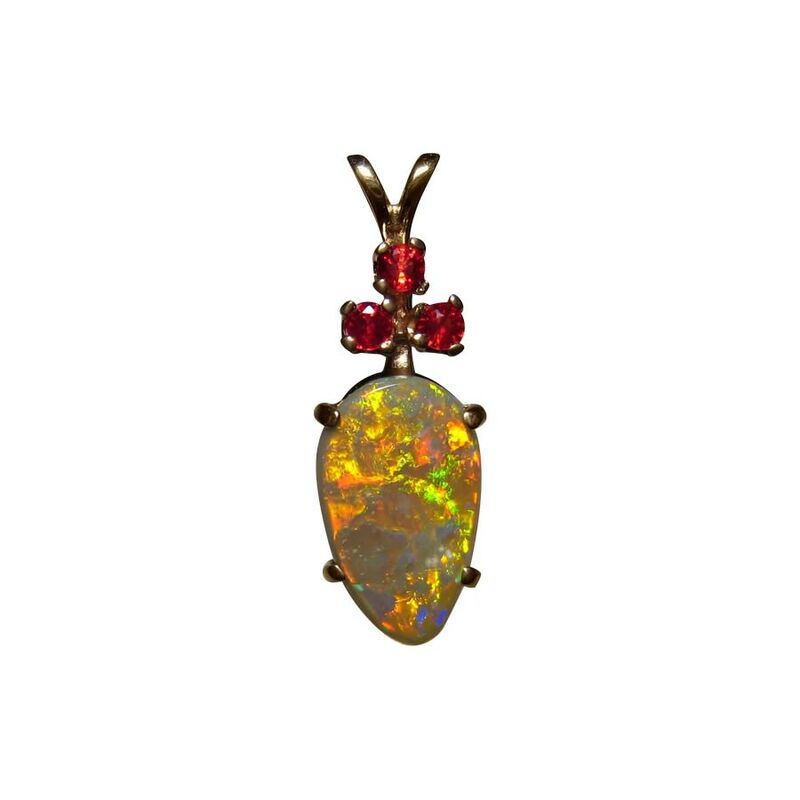 An inverted pear cut Lightning Ridge Black Opal is prong set in the pendant and is accented on the top with three natural round brilliant cut Fire Engine Red Rubies. 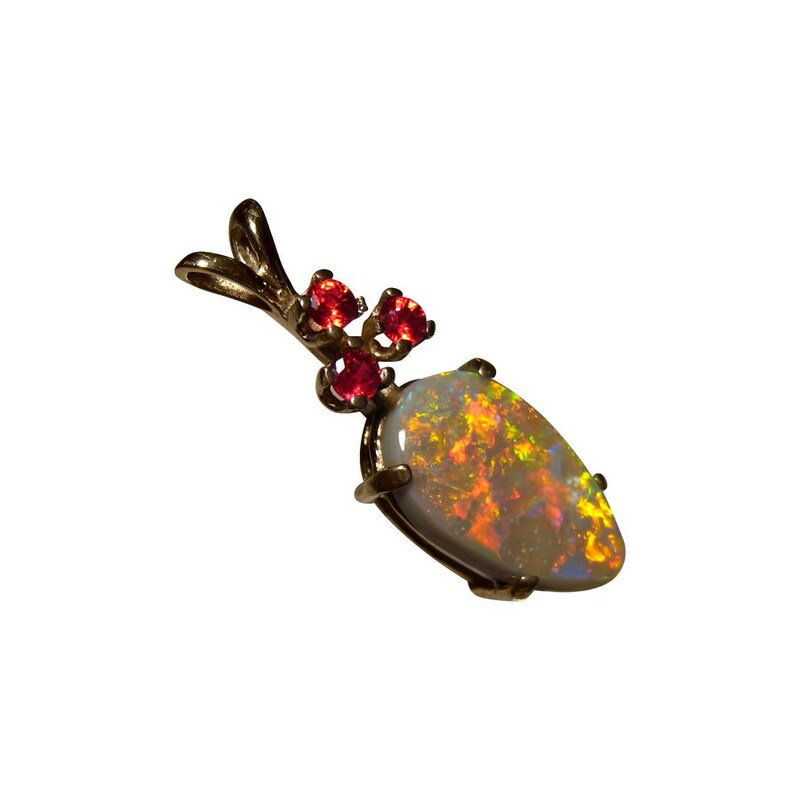 The Red in the Rubies compliments the very bright Orange, Yellow and Red Patches in the Opal and the video below will show how these patches of color roll across the stone with movement. 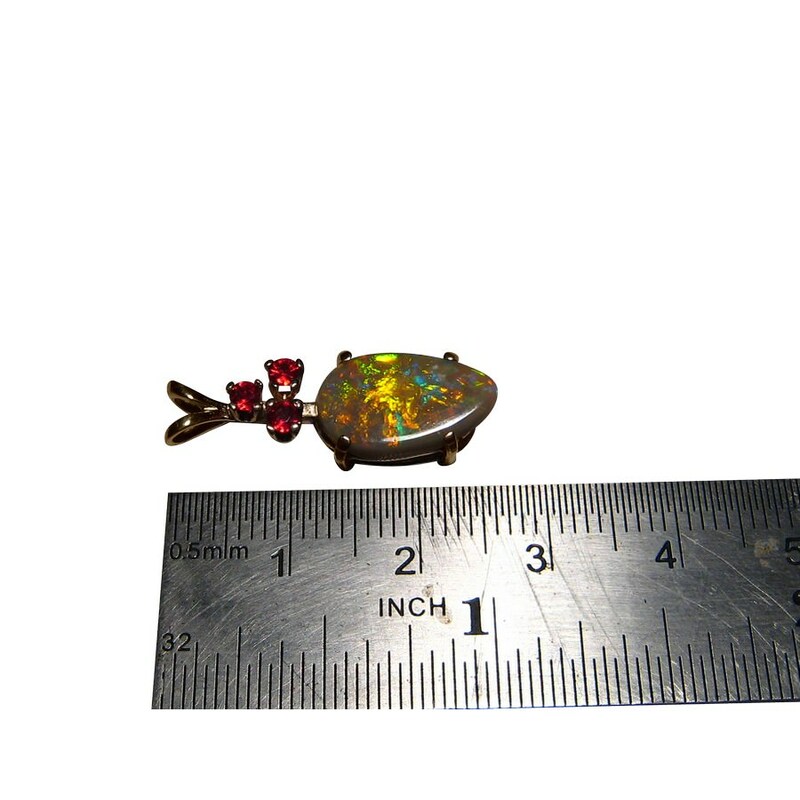 The pendant measures just over one inch long by one third of an inch wide so a good size which will be seen when worn. The article on Photography explains why you may see minor blemishes in the images but they are not visible to the naked eye. 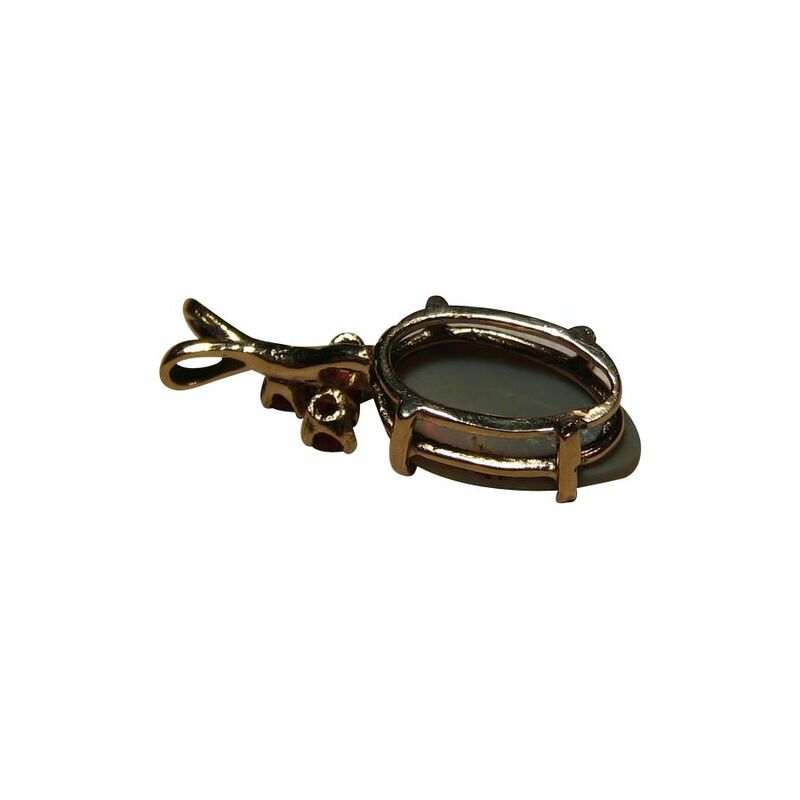 The pendant is ready to ship but does not include a chain.